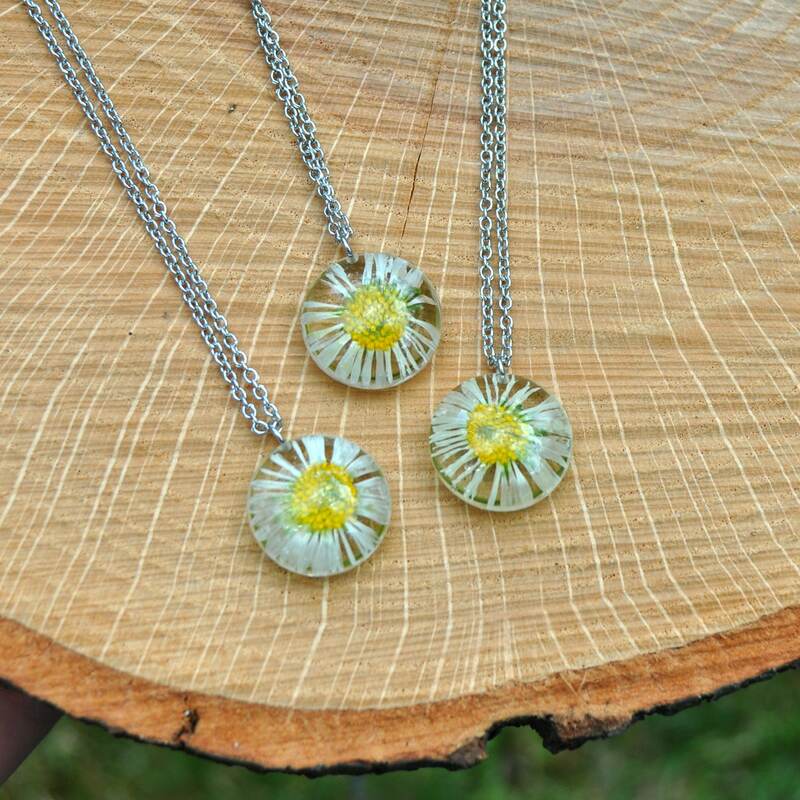 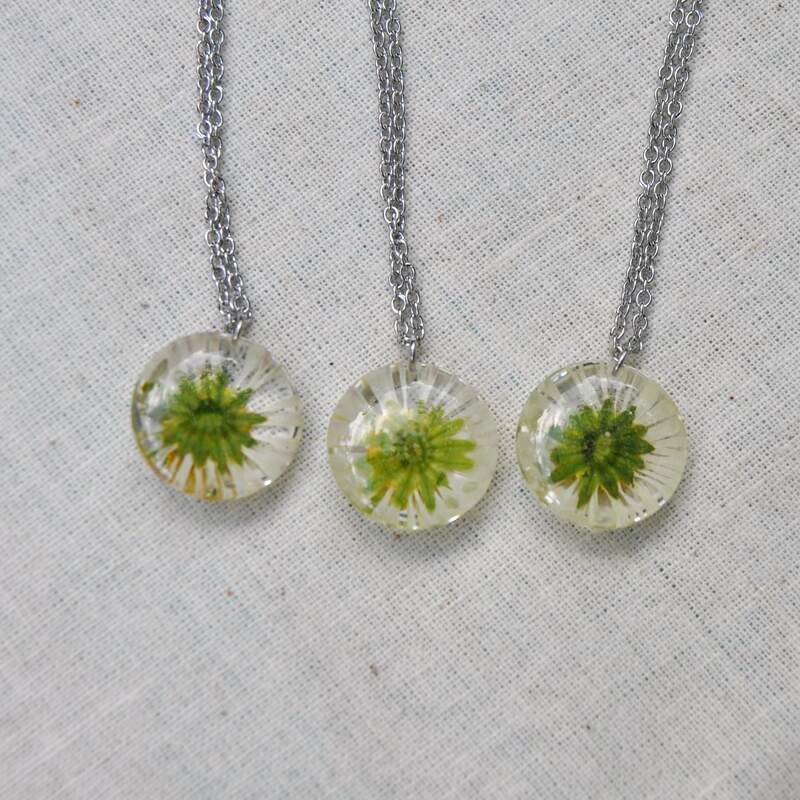 These dainty little daisy pendants contain tiny flowers from the English Daisy. 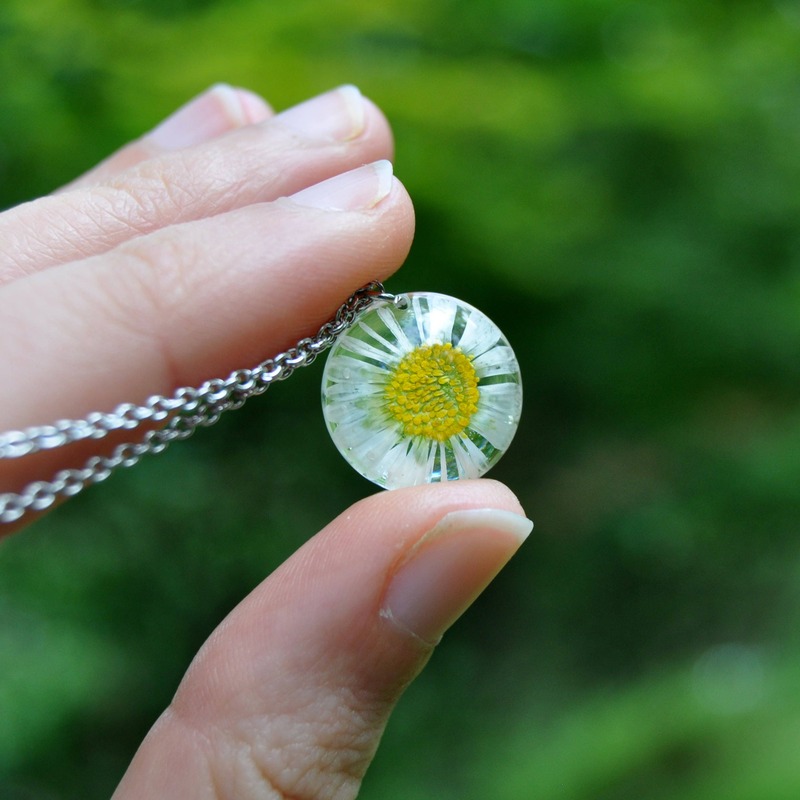 This particular flower is a symbol of children and innocence, and might make a lovely gift for a child who loves nature, or as a thank you gift for your flowergirl. 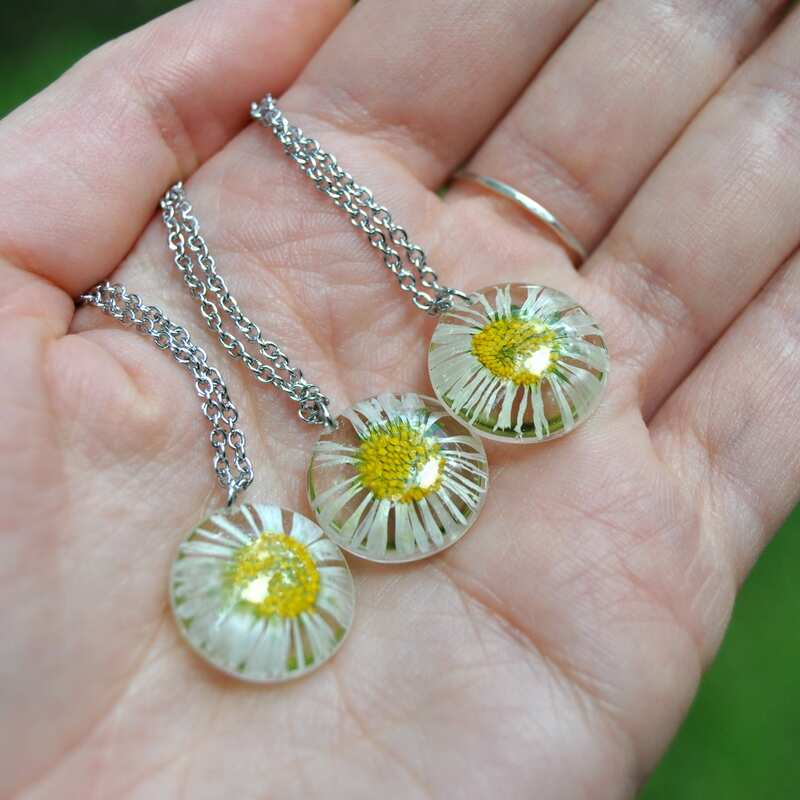 Each daisy pendant has been hand cast in clear eco resin, and has a smooth glossy front and back. 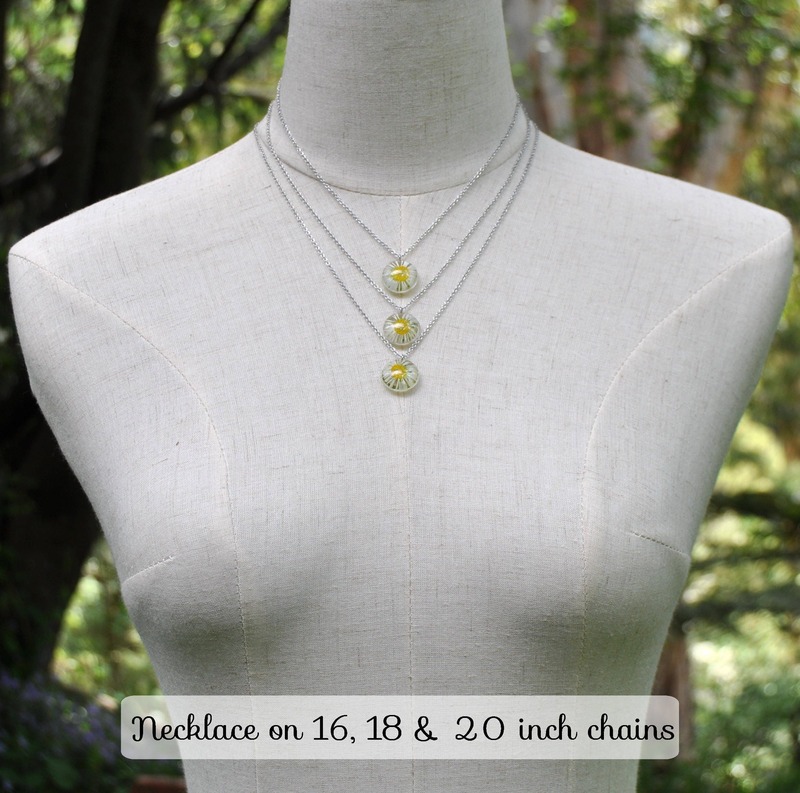 It comes finished with non-tarnishing stainless steel elements, and is available on a matching chain in your choice of length. 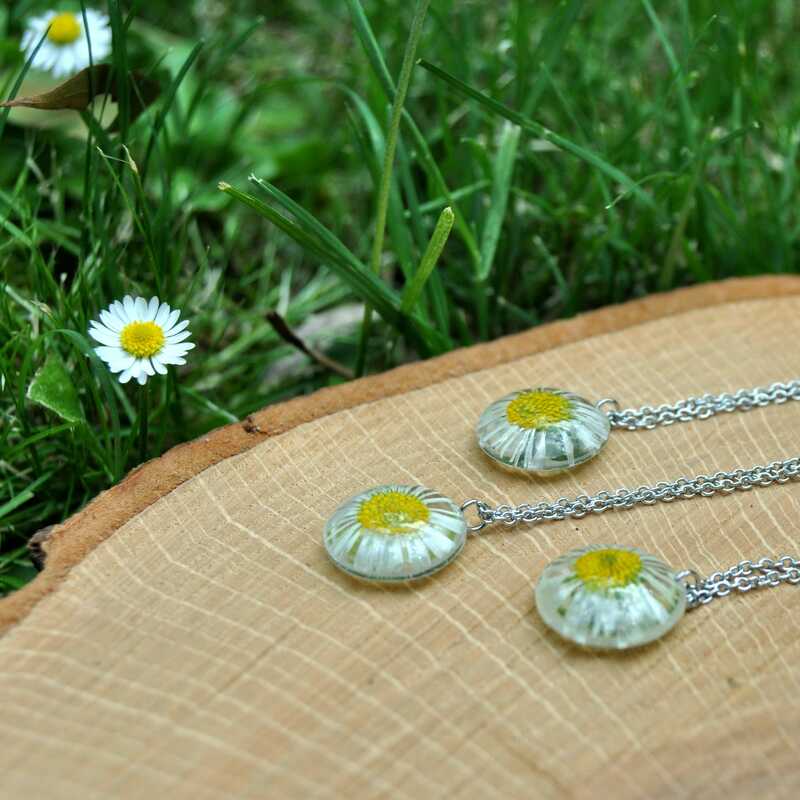 Each resin drop measures about 16 mm round and 4 mm thick. 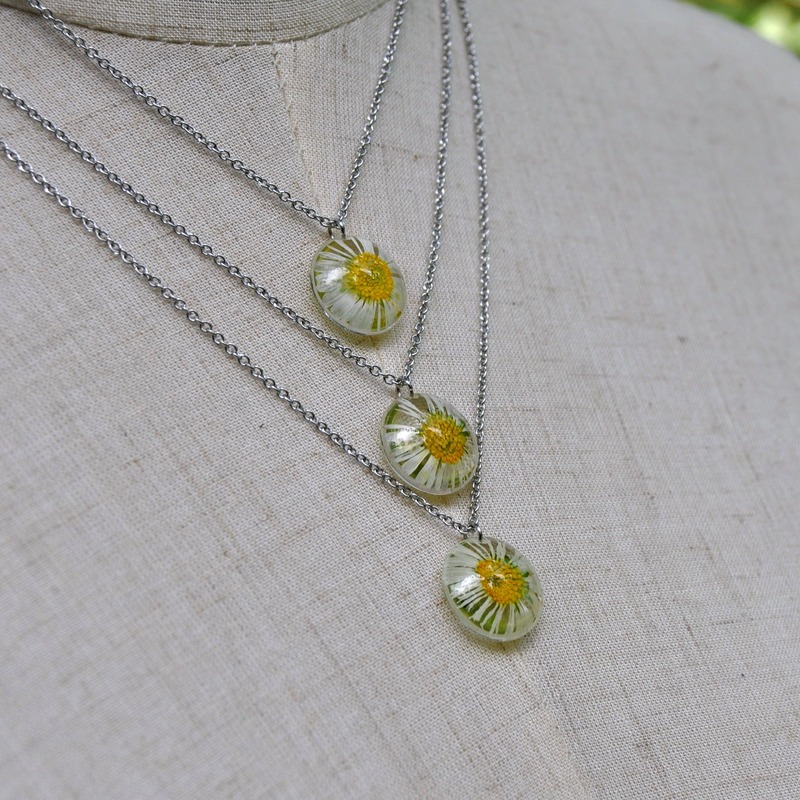 This item ships for FREE - worldwide!